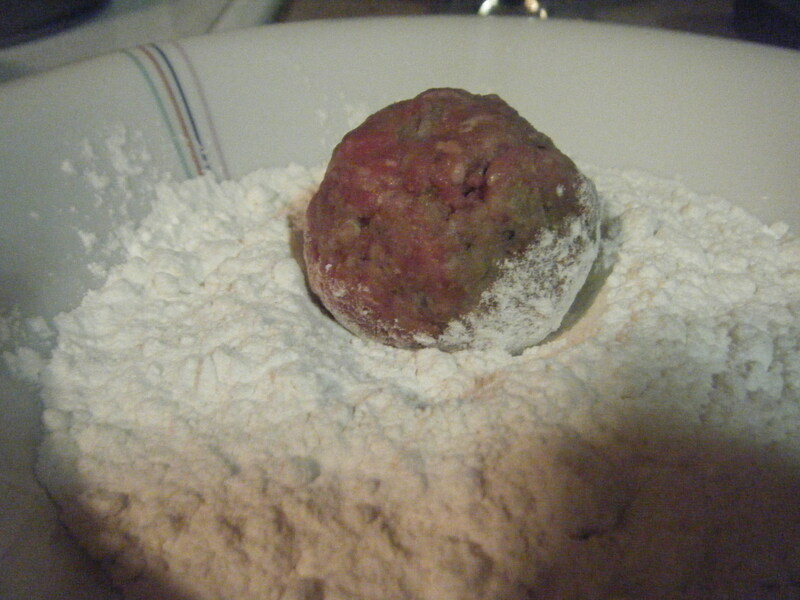 That quest is to construct the perfect unique meatball EVER! I have never been a fan as I am sure you know, if you read my posts, but lately my taste for them is changing! This is kind of a weird variation I came up with when I realized I was all out of bread crumbs BUT I had Lemon Pepper Panko. If it comes out terrible we can always order Chinese right? Well there was no need for that because I think they came out amazing! Take a large sip our your wine to brace your self for what is to come…. 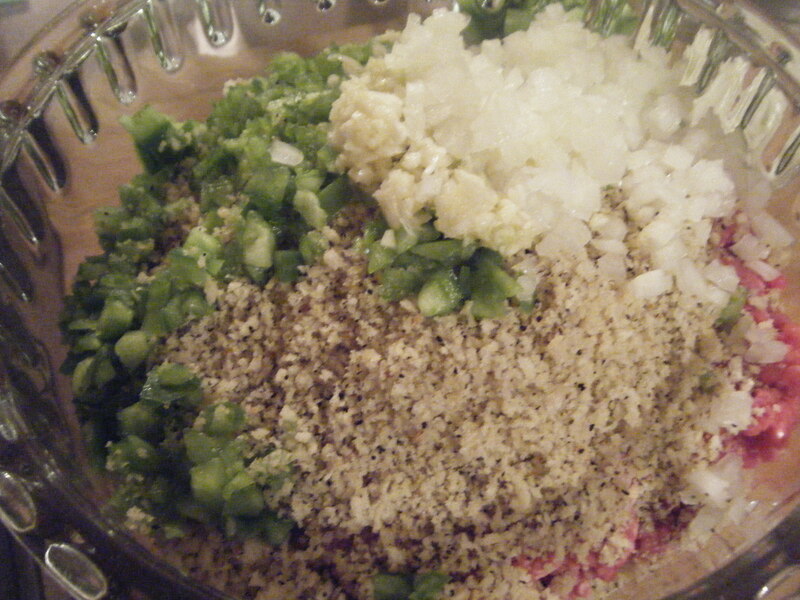 Now put the hamburger into a large bowl and add the peppers, onions, garlic, salt, panko, and eggs. Combine well with your hands….. (this is why we prepared our selves with the wine!) 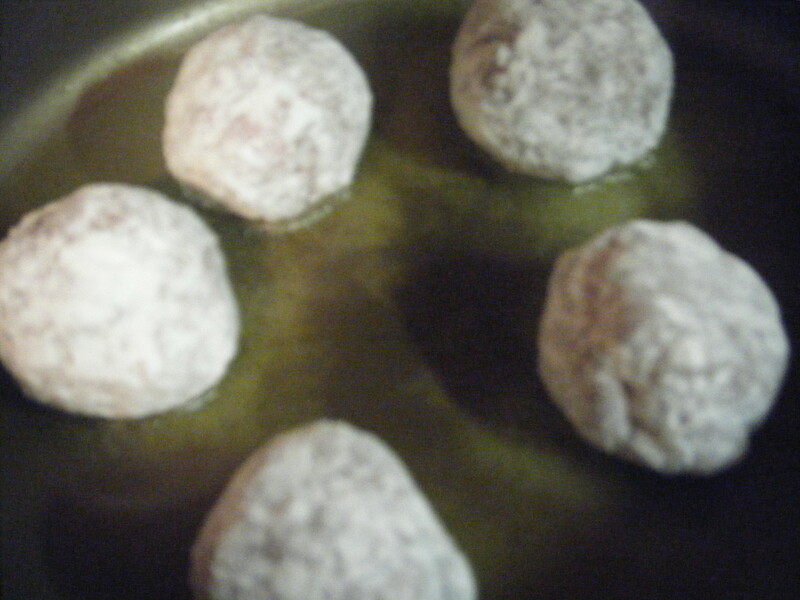 Then start forming them into balls. 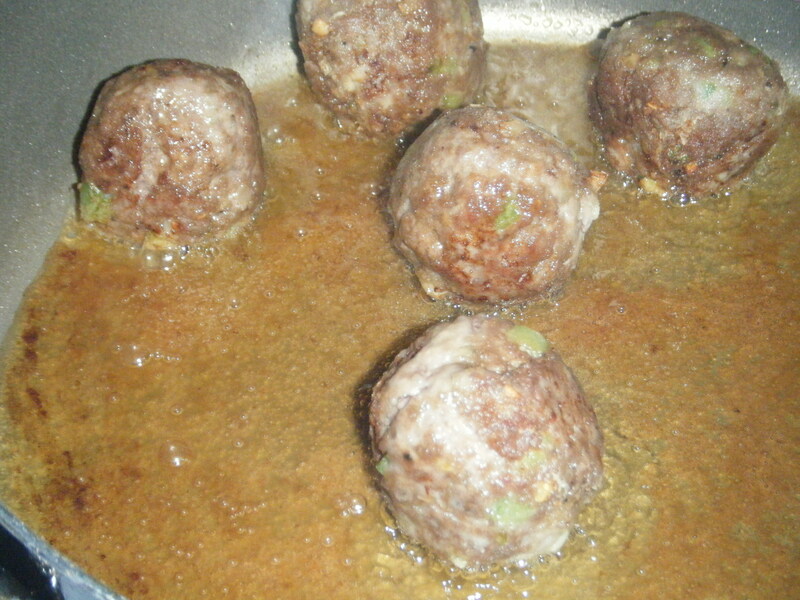 Once all the meatballs are formed, heat about 1/2″ of vegetable oil in a large saute pan over medium-high heat. 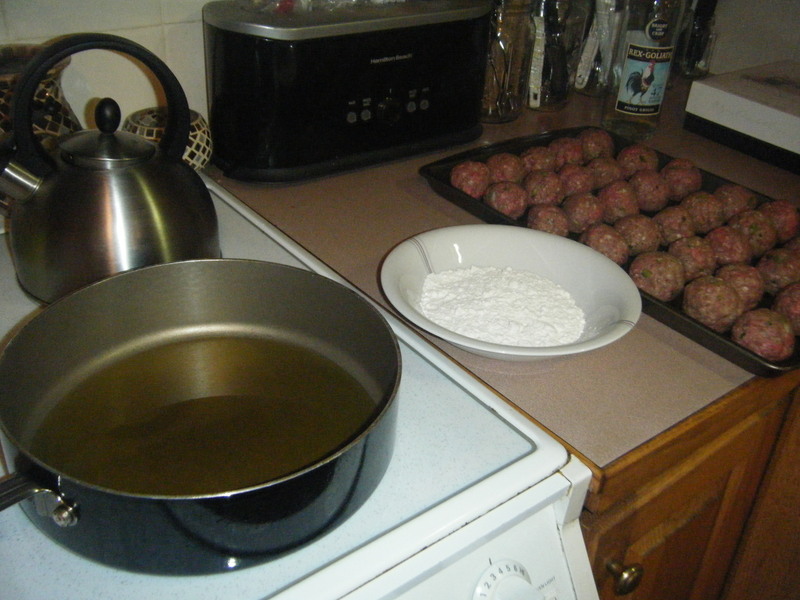 You will know the oil is hot enough when a pinch of flour sizzles in the oil. 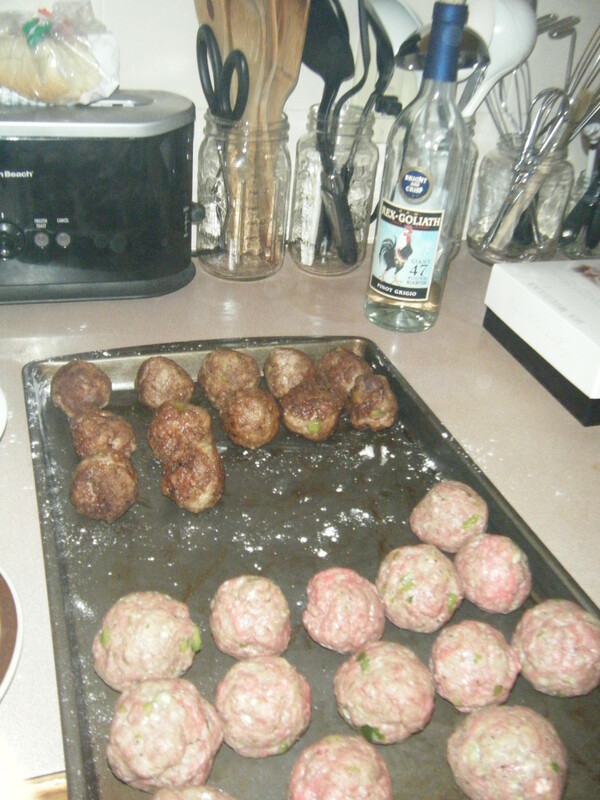 Now working in small batches so the meatballs dont steam, roll about 6 balls in the bowl of flour then drop into the oil. Turn when a nice brown crust starts to form. 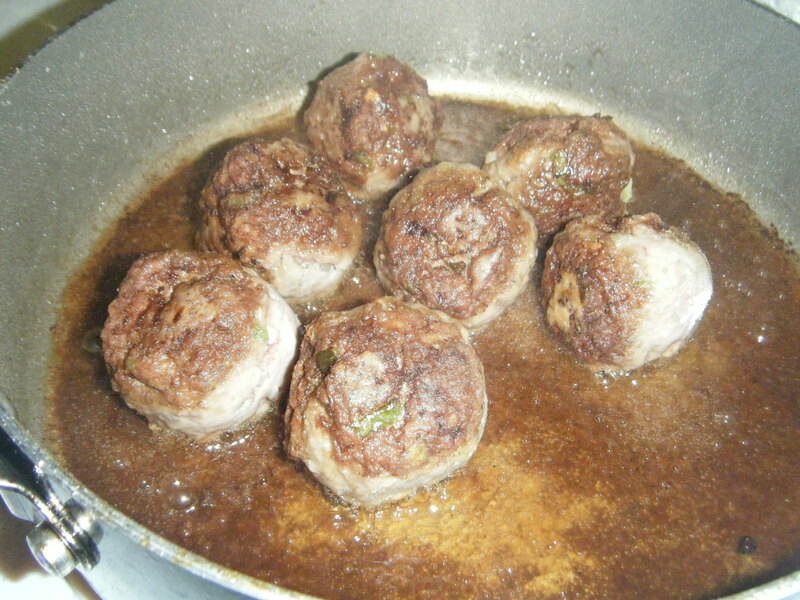 Remove the meatballs that are done, and move onto the next batch. 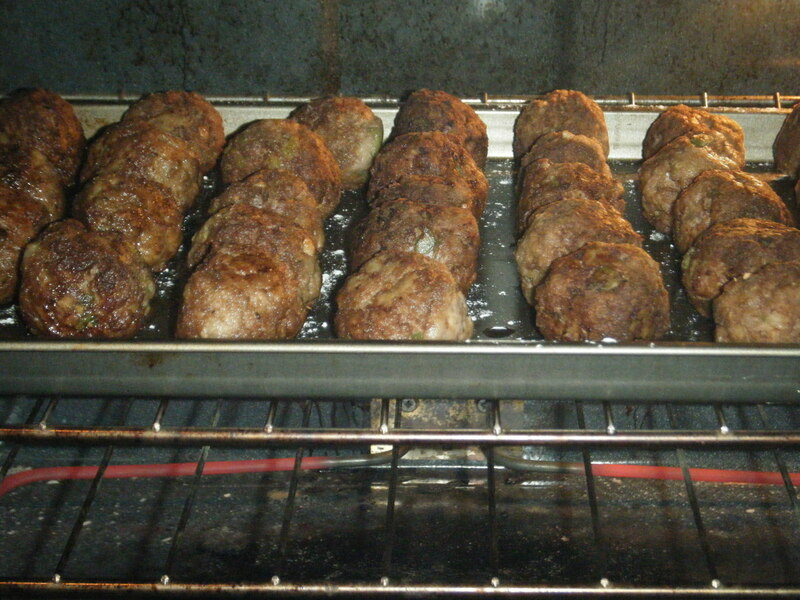 Once all the meatballs are nice and seared, bake at 350 for 20-25 minutes or until cooked throughly. YAY! 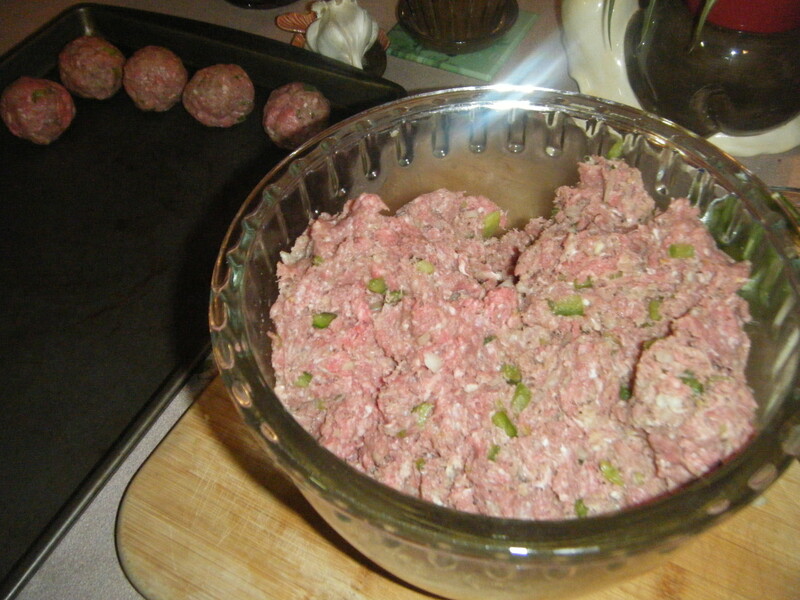 And that is the new and improved meatball recipe!!!!!! 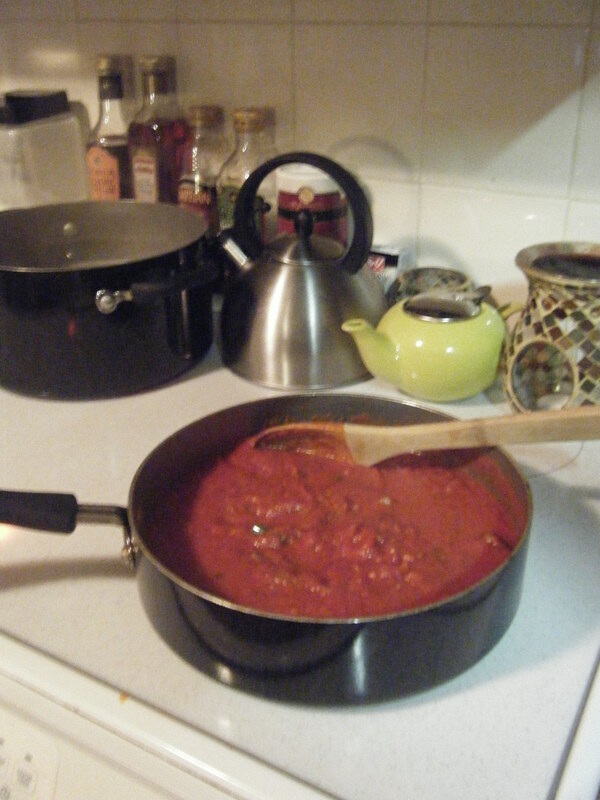 This time around I just served them in a tomato sauce over pasta. 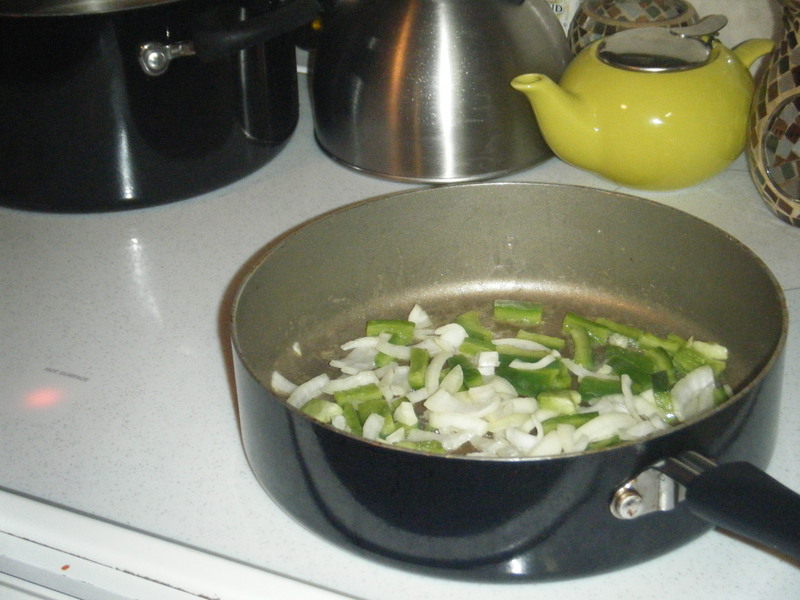 I just sautéed some peppers and onions. 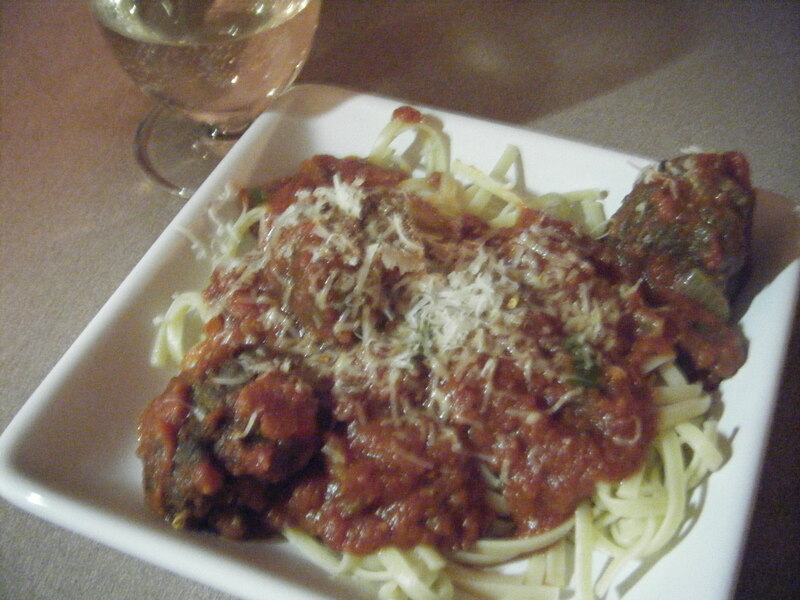 And topped cooked pasta with the meatballs, tomato sauce, and fresh grated parmesan cheese!